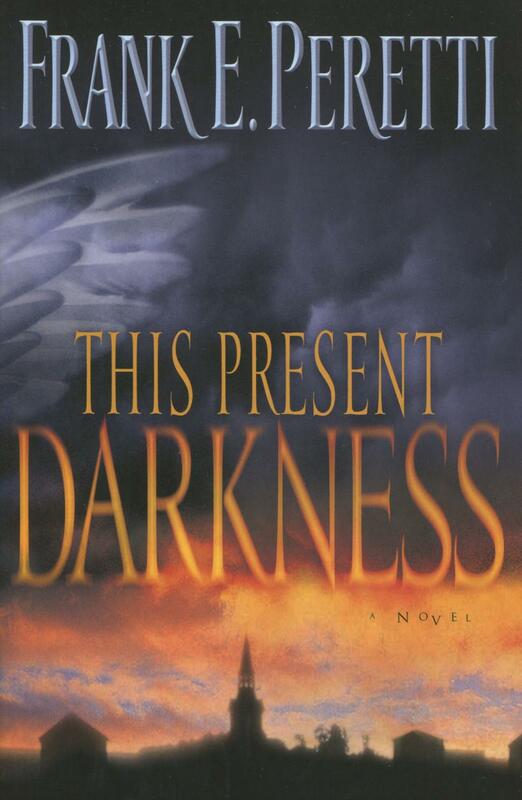 This Present Darkness is a Christian thriller, depicting a battle for the souls of humanity between angels and demons. It begins in the small town of Ashton, where a newspaper editor is investigating why one of his reporters has been arrested. The chief of police insists it was a mistake, but after further investigation the editor discovers a New Age plot to take over the town and is arrested. In prison he meets a born-again pastor, who has also noticed strange things happening in the town and has been arrested for asking too many questions. Together, the pair come up with a plan to address the threat head on, and in the process join a celestial battle that’s bigger than anything they’ve experienced before. Frank E. Peretti was born in Alberta, Canada and raised in Seattle, Washington. As a child he regularly told stories to neighbourhood kids, and went on to study screenwriting and englishat UCLA. After spending a number of years as a pastor, he was working in a ski factory when he wrote his first book - an adventure story for kids called The Door in the Dragon’s Throat. He followed it up with This Present Darkness in 1985, which spread byword of mouth until it entered the Christian Booksellers Association’s bestsellers list, where it remained for 150 weeks -selling more than two million copies. Peretti followed the novel with a sequel, Piercing the Darkness, in 1989, and has since written several other novels and non-fiction books.